NUST MISIS scientists jointly with their colleagues from the Ecole de Technologie Superiore (Montreal, Canada) have experienced a new combination of alloy processing that produces solid and durable implants that are fully compatible with the human body. The research article is published in the Journal of Alloys and Compounds. The authors sought to develop an industrial technology for the production of metal rod stocks which are used in the production of modern bone implants, and in particular, for treatment of spinal problems. This new generation of alloys made on the basis of Ti-Zr-Nb (titanium-zirconium-niobium) which possesses a high functional complex and so-called &laquosuperelasticity» (able to restore the original shape against large and repeated deformation) are the working material. According to scientists, these alloys are the most promising class of metallic biomaterials. This is due to the unique combination of their biochemical and biomechanical properties: Ti-Zr-Nb differs from the complete biocompatibility of composition and high corrosion resistance, while at the same time exhibiting hyperelastic behavior – very similar to &laquonormal» bone behavior. &laquoOur method of combined thermomechanical processing of alloys – in particular, radial-displacement rolling and rotary forging – allows researchers to get the highest quality blanks for biocompatible implants by controlling their structure and properties. 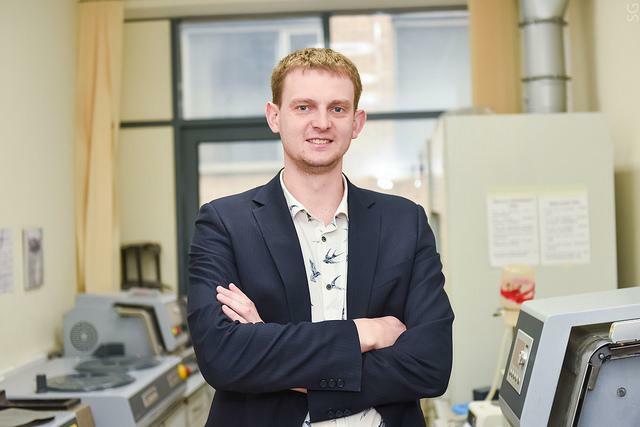 Such processing of blanks gives them an outstanding resistance to fatigue and overall functional stability», said Vadim Sheremetyev, one of research authors, and a senior research associate at NUST MISIS. According to him, the high-quality rod stocks have already found a potential customer. A large Russian manufacturer of medical products made of titanium is an industrial partner of NUST MISIS`s project. Together with them, scientists are now developing a technology to obtain beams for spinal transpedicular fixation, which should improve the therapy quality in severe cases of scoliosis. Additionally, scientists are now aimed at developing the thermomechanical processing and optimizing technology modes to obtain materials of the necessary form and sizes with the best complexity of properties. This study was made available online in 12/2017 ahead of peer-review and publication this month.